Pressure-management specialist Elfab has introduced a range of pre-torque holders for its metal rupture discs. The range has been specifically designed to cope with installations where it is difficult to remove the disc and holder separately from the flange, and to reduce both the risk of the disc slipping or of either component becoming damaged. The pre-torque holders are supplied in either forward- or reverse-acting formats, and have been designed to be compatible with Elfab’s magnetic burst detection system, Flo-Tel+, in keeping with the rest of the company’s holder range. Available in stainless steel as standard, the new holders offer a high level of corrosion resistance. 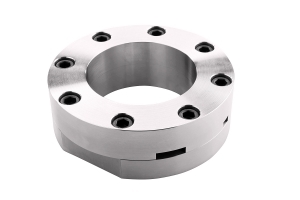 They have been produced to comply with all internationally recognised flange standards. The pre-torque holders will allow even more rupture disc users to benefit from Elfab's technically advanced designs and detection.